Rock and Roll Hall of Fame in L.A.
L.A. Mocks, Cleveland Rocks 2013 RRHOF Induction Ceremony Review for WCBE by Jack Marchbanks of Enteje. Jack Marchbanks visited Stax Museum of American Soul Music. Learn about top music legends of jazz, funk, soul, rock and gospel music. Hear interviews, documentaries and read commentaries about the top musicians and recording artists in history. Explore the history of funk music and great artists who became legends. 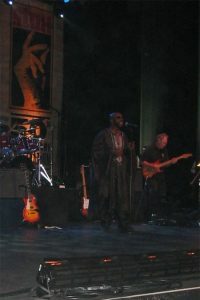 Isaac Hayes sings “Walk On By” at the Stax 50th Anniversary Concert, June 22, 2007. Check out these legendary artists and some of the greatest jazz music of all times. The sound of soul and the artists who created the sound we love. The foundations of gospel and the history behind some of it’s legends.